2017 looks like it should be a pretty cool year. Whereas 2016 gave us lots of sequels to movies that we really didn’t need, (The Huntsman, Neighbors, Teenage Mutant Ninja Turtles,) this next year looks like it’s got it’s heart in the right place when it comes to sequels. The newer movies that will have sequels made of them are ones where the original films were terrific. Specifically Kingsman, John Wick, and Guardians of the Galaxy. Then there are the sequels to older movies that have been long awaited. Blade Runner and Aliens. Similarly, the Alien movie, Alien Covenant, seems to be righting the wrongs that were done by Ridley Scott’s last alien film, Prometheus. That movie tried to distance itself from the alien series, and the fans were rightfully angry about this. Covenant is meant to reverse all that, and it puts itself right back into the series, full force. When talking about the great directors lined up for these movies, there’s Villaneuve and Ridley Scott, (Alien Covenant,) but there’s also Matthew Vaughn (The Kingsman sequel,) and James Mangold, (Logan.) Mangold proved how great he was a while back with movies like Copland and Identity, but then his last Wolverine movie, set in Japan kind of lost its way. This one looks to be another case of righting the wrongs and doing things the right way. Like Ridley Scott with his Prometheus follow up, Mangold could have easily left the Wilverine series behind, but instead he and Scott are both sticking around to do right by the series and prove that they dan fix their mistakes. In the case of Logan, we’re talking about an R rated Wolverine movie as the final film with Hugh Jsckman playing the character. Count me in. Speaking of superhero movies, there are a whole bunch that made it on my most anticipated list. 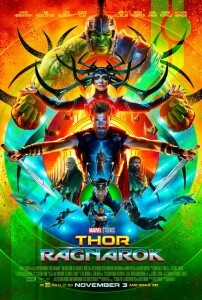 Spider-Man, Guardians, and Thor Ragnorak have one thing in common. They are all Marvel. Notice that Justice League is only in the honorable mentions category and that Wonder Eomsn is not on any of these lists at all. That’s because I have totally lost faith in DC. Zack Snyder is just too dark and artistic to measure up to what they are going over at Marvel. The thing is, the Marvrl movies are often dark too, (look at the last two Captain America films,) but they somehow find ways to fry real humor in as well. They never feel stupid, but instead are compelling. 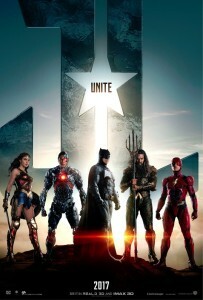 The DC movies are the exact opposite, and they have a lot of ground to make up, before gaining my confidence back. But let’s talk for a moment about the superhero movies that actually are on the list. Spider Man Homecoming is the number one slated film, and for good reason. For the first time ever, it looks like they are set to do Spider Man right. Now, with Spider Man, we’re talking about one of, is not the, greatest superheroes of all time. Here’s a guy who is just a kid in high school, trying to get the girl. And yet somehow, the movies never understood theft before, constantly casting actors in their upper twenties of thirties to play that part. Homecoming is finally taking the movie to high school, where it belongs, and keeping if there. This all started with the casting of an age appropriate lead, in Tom Holland. And then there’s the fact that this is a Marvrl film. The studio has taken the Sony series under its wing, and the results should be pretty awesome! Just from the preview of this new Spidey that we got in Captain America: Civil War, and from the fact that Downey Jr. will be reprising his Iron Man role in the Spider Man film, you can tell it’s going to be good. 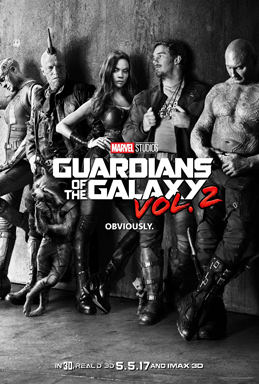 Other superhero movies on the list include Guardians of the Galaxy 2 and Thor Ragnorak. With Guardians 2, the first one was so much fun, (again, like all Marvel films, combining humor with cool action, seemlessly,) that if this sequel is anything like it, we’re in for a treat. And I look forward to seeing how they make Kurt Russell into a living planet, as Star Lord’s father. With the Thor movie, I haven’t been a big fan of that series, (especially not the last film, Thor: The Dark World,) but this new film features something the others did not… The Hulk. The two best characters in the Avengers movies are Iron Man and the Hulk. Marvel knows that, and so they are spinning those characters into other films to help the other films along so. So Iron Man is in the new Spider Man movie and Hulk is in the new Thor movie. Talk about an incredible studio that just does everything right! That leaves three movies. John Wick 2, Kong: Skull Island, and Beauty and the Beast. For John Wick 2, the first one was very cool and kind of a new concept or take on a hitman story. The action was fantastic. The same team is back for the sequel. So, we’ll have to see. 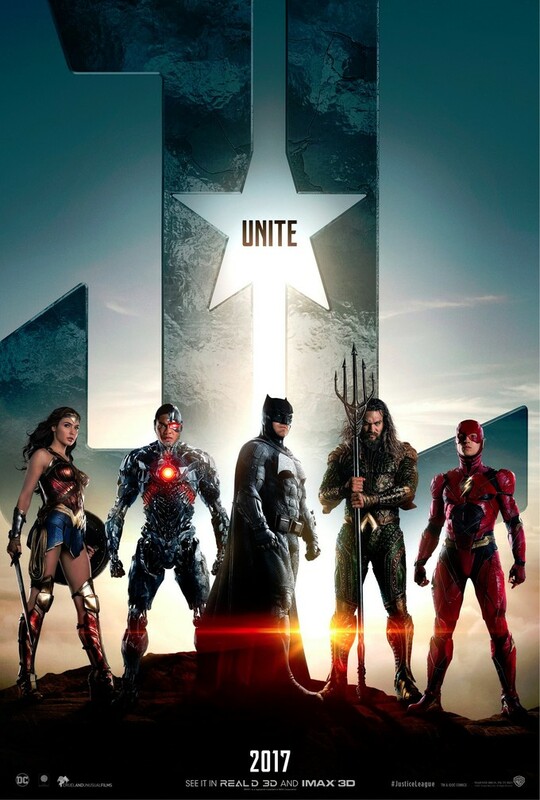 Like Kingsman 2, I’m certainly hoping for the best, but.a little skeptical, just because the first one was so unique and innovative. My guess is one of those two movies, John Wick 2 or Kingsman 2, will be good, and not both of them. Probably Kingsman 2, since Matthew Vaughn can do no wrong. With Kong: Skull Island, this is the big budget telling of Kong that is pure fun. It is meant to be the exact opposite of the Peter Jackson version, which was more artistic, (where you didn’t get anywhere near the island for over an hour.) This one will be different. It looks like pure action and thrills, and they’ve got a hell of a cast. 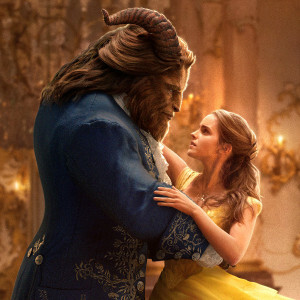 Finally, there’s Beauty and the Beast, the live action film. This will be a monster hit for Disney. And it looks pretty cool. Disney has been turning their animated characters and properties into live action films (Maleficient, Cinderella,) but never like this. With Beauty and the Beast it will be the first time one of their classic nineties films gets nearly a shot for shot retelling. The story will most likely be identical to that of the animated film, and that’s definitely a good thing. If this work, then next we’ll get The Lion King, Aladdin, and the Little Mermaid. So, consider it the sign of things to come. It all starts here. 2017. It looks to be a very good year!